"Tight regulation of blood pressure is essential for health," says Wei-Zheng Zeng, Ph.D., a postdoctoral associate at Scripps Research and first author of the study. "Blood pressure is acutely sensed by baroreceptor neurons, but the mechanism of how baroreceptors sense blood pressure remained a mystery for more than 100 years." 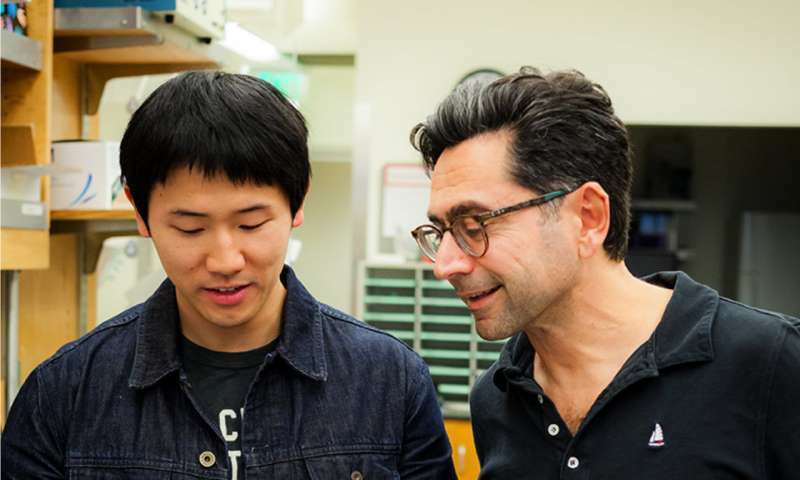 The two proteins—PIEZO1 and PIEZO2—were originally discovered in the lab of study senior author Ardem Patapoutian, Ph.D., a Scripps Research professor and Howard Hughes Medical Institute investigator. In just the past few years, it's become clear PIEZOs do a lot of work. The Patapoutian lab has shown PIEZOs are responsible for sensing pressure in the lungs, different kinds of pain and soft touch. PIEZO1 even helps red blood cells keep their shape. "Knowing the identity of the sensors for blood pressure control gives us an idea of how to develop better therapies to treat patients who suffer from drug-resistant hypertension, or any other problems with blood pressure control," says Kara Marshall, Ph.D., postdoctoral associate at Scripps Research and co-author of the study.